Compared to a lot of other people, I don’t consider myself a chocolate addict but I won’t pass up on good dark chocolate as it does increase the oxytocin level in my brain. The effect is it lifts me out of the doldrums. It makes me happy and a little euphoric when I bite into a really good piece of chocolate. 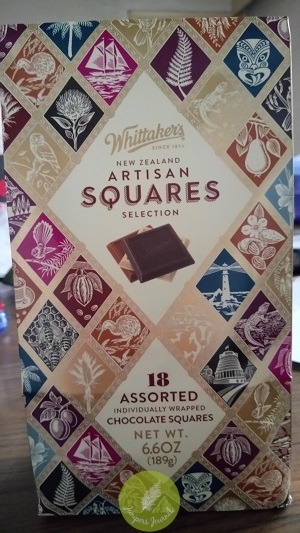 Therefore when I had the opportunity to sample Whittakers Artisan Squares Selection, all the way from New Zealand (sadly not available in Malaysia), I was rather excited. In this beautifully designed bag are 18 assorted and individually wrapped finest quality chocolate squares in 6 different flavours. 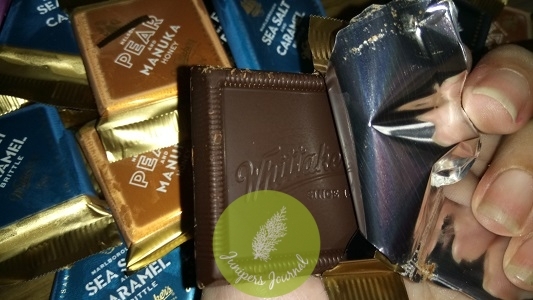 This is definitely the best way of finding out which is your favourite Whittakers chocolate. When the chocolate squares spilled out of the bag, I didn’t suppress a squeal of delight as they are certainly a sight for sore eyes. 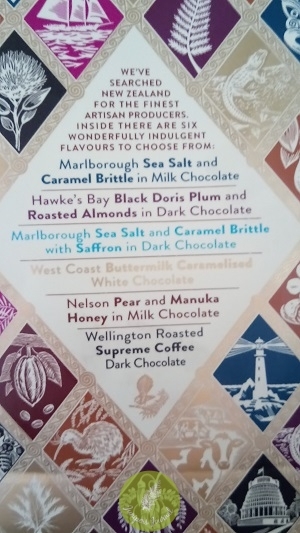 From the outset, I knew my favourite would be Wellington Roasted Supreme Coffee Dark Chocolate and as I took my first bite of the little square, I was transported to chocolate heaven. This one is so good as it isn’t in the least sweet. The rest of the flavours range from a little sweet to too sweet for my taste buds. 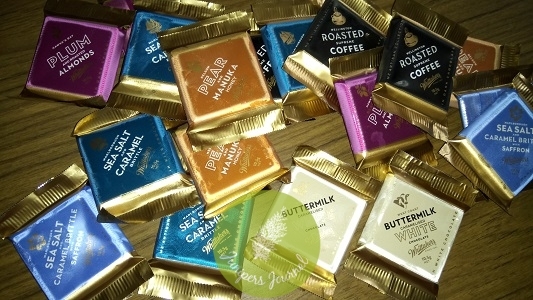 Another firm favourite is Marlborough Sea Salt and Caramel Brittle with Saffron in Dark Chocolate. I can taste the salt and combined with the sweetness of the caramel brittle, it packed quite a punch to the senses. The mild crunchiness of the brittle makes this one unique.